SecuraSoft™ MSG to PST converter is an effective tool to Export MSG Files into Microsoft Outlook PST. It is a full featured utility. Using this app one can migrate multiple MSG files into a single PST file. MSG to Outlook PST converter export all e-mail messages and attachments to Outlook PST format with simple steps of conversion. Software preserves the meta properties while performing the migration and move. MSG files into PST. Move MSG files into Outlook using either of the two options that is complete mail migration or Selective migration. complete mail migration option migrate all emails To PST format and selective migration export only selected emails. MSG to PST converter will generate UNICODE type PST file. Unicode type file support file size of 2 GB or more. Single PST file is generated from multiple MSG files. One can split large PST file into smaller files if required. This feature allows to automatically load all MSG files in folder having related properties.This feature allows to automatically load all MSG files in folder having related properties.Convert MSG to PST Outlook with automatic location detection feature having related attributes in presence of other file formats. E-mail messages are filtered on the basis of criteria like: To, Sent, Received, From, File size. You can filter the mail message on any of the criteria as per your requirement. This helps to search emails according to need. Move MSG to PST tool provide option to view information in horizontal as well as vertical view mode. Default mode used to display information is horizontal. You can switch from Landscape to portrait or vice-verse as per requirement. Feature to Import MSG files into Outlook 2013,2016,2010 and below versions is offered by Software. And if converted PST file become large then it can be divided into smaller size PST files so that it could be handled easily. SecuraSoft MSG to PST converter is an excellent tool to convert 1000 MSG file to Single PST format .Just few clicks and conversion done. All my MSG files data is with me in PST format .Thanks team. I used this tool to convert sort all my MSG files on the attribute Size and then converted only required MSG files to PST. A perfect full feature app to convert MSG to PST Outlook file. I have never seen such a fast conversion tool. This is one of the best MSG to PST conversion tool. All MSG Files are converted to PST safely and securely. Surprisingly no data is lost . A very reliable and easy to use tool.Thanks a lot! SecuraSoft MSG to PST Migration tool is a right choice. It has very easy to use interface even a non-technical person can understand how to use it. Team has also provided steps to use the tool. It also support Outlook 2016 .Very amazing utility with so many features. Mail message MSG is a file format used by Outlook. A MSG file is a text file containing content for To, From, subject, body header, attachment, reference link to data that the reader can directly follow either by clicking or hovering. On the other hand PST Files are used to store Outlook data in your machine. PST files are usually employed by POP3 and IMAP accounts. 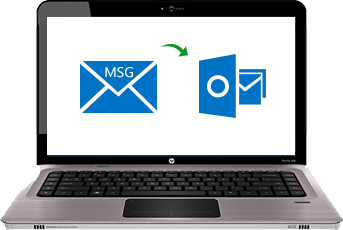 Why to transfer MSG files to Outlook? Security issue: Anyone can copy content of MSG files and if content is removed from centrally managed store then it will be a loss of important data . Time issue: In case Large No. of MSG files, User can't open multiple MSG files in Outlook at once.Import MSG files into outlook 2010 and below versions. Location issue: PST file is easy to search at a location in comparison to MSG file. Merging issue: It is easy to merge large PST files into single PST file but difficult and complex in case of MSG file. Bulk data migration from multiple MSG file to single PST file with just few clicks. Provide option to split converted PST file. Software automatically generate Unicode PST file. Save PST File at a user specified location. MSG to PST migration utility has window explorer style interface. The MSG Files contain info about the email files like: date of the message, Sent, Received, Subject, message body as well as attachments. It converts Outlook mail message file format to personal storage table format.